The first Latin American SABRE Awards competition is now open for entries, with deadlines in August. NEW YORK—The first Latin American SABRE Awards competition is now open for entries, with deadlines in August. The Latin American SABRE Awards will be presented in almost 40 categories, recognizing the best work in specific geographic markets (including the Caribbean and Central America), in practice areas (from corporate image and crisis communications to digital and social media), and in industry sectors (from fashion to food to financial services). The competition also includes several special Diamond SABRE categories recognizing the role of public relations in the C-suite. Executives from global PR firms such as Burson-Marsteller, Edelman, Hill+Knowlton, Ketchum, Porter Novelli, and Weber Shandwick. 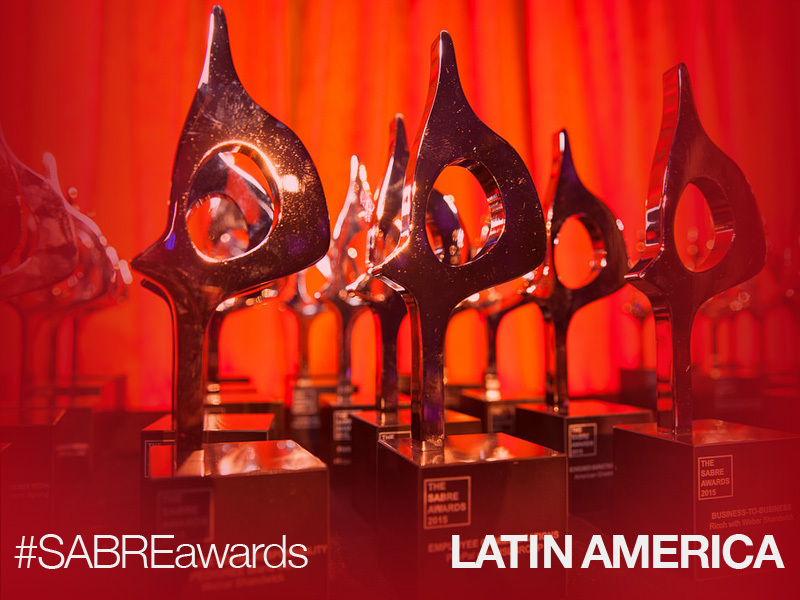 The Latin American SABRE Awards will accept entries in English, Portuguese and Spanish. The main summary may be presented in any of these languages. However, all entries should include a single paragraph in Englsh explaining why the campaign is worthy of an award. The early deadline for entries is August 7. However, late entries (accompanied by an additional late fee) will be accepted until August 28. Tips on crafting a winning entry and a list of frequently asked questions can be found at our website. Entries can be uploaded via our dedicated SABRE entry site. Plans for a SABRE Awards ceremony and accompanying conference will be announced in the next few weeks.